2012 is upon us and many of us are thinking about what the New Year will bring. This time of year is an occasion to get us thinking about our health – specifically brain health. A healthy lifestyle is easy to understand but not everyone realizes the more you work out your brain, the better you’ll be able to process and remember information. Carve out time to give your brain work outs. You can do that by creating your own “health club” that includes ongoing learning. Make a commitment to keep learning, no matter what your age or stage of life, and you are automatically improving your brain power. You may not realize it but your brain power has incredible potential when it is “sharpened” and kept fit. There’s no better time than now to invest in your brain’s fitness. As millions of people grow older, many experience age-related changes like forgetfulness or decreased concentration skills. Some people find they have difficulty sleeping and their short-term memory isn’t as sharp as it used to be. Did you know your short-term memory is like a scratch-pad for temporary recall of information being processed? In order to understand this sentence your brain needs to remember the beginning as you read move along toward the end and get to the period. About 70 million baby boomers are heading to retirement in the next few years. Many people join health clubs to stay fit and others exercise at home with family and friends. If you are heading to retirement, make sure you continue to exercise your brain. By learning something new you are breaking the way you think about topics and ideas. 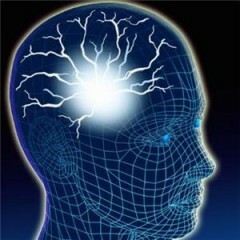 You are using brain pathways that may not have been used if you hadn’t ramped up your brain calisthenics. Use your senses to learn. Know how you learn best, and then use it to your advantage. Some people learn best with audio tapes, others prefer videos or an in-person classroom. Stay Organized. Take notes. Use both words and pictures. Take advantage of calendars, date books and other organizational tools to help you concentrate while learning. Journal: Record information of your learning milestones by keeping a journal. Writing down your experiences helps build on previous knowledge and creates good retention. Participate in educational experiences. Take an adult education class or enroll in a technical college course. Take up a new hobby. People who enjoy life have found new outlets like quilting, woodworking and other hobbies. Take up a new sport. Have you thought about learning to ice skate, curl, play badminton, take up golfing or numerous other sports? Your local parks and recreation department probably has numerous opportunities for you along with other community resources. Play board games and puzzles. The more you play the better your mental dexterity will likely become. It’s time to stoke the fires of aging in the brain. Build your own “health club” which includes a variety of brain fitness activities. It’s never too late to learn something new and feed an aging brain. Mark Underwood is a neuroscience researcher, president and co-founder of Quincy Bioscience, a biotech company located in Madison, Wisconsin focused on the discovery and development of medicines to treat age related memory loss and the diseases of aging. Mark has been taped as an expert in the field of neuroscience for The Wall Street Journal Morning Radio, CBS and CNN Radio among others. Mark is also a contributor to the “Brain Health Guide” which highlights the research at Quincy Bioscience and offers practical tips to help keep health brain function in aging. Visit TheGoodNewsAboutAging.comfor more articles and tips for healthy aging.